How zombies actually came to be is an often debated question. Originally it was felt that zombies were around for as long as man has walked the earth. Typically they only came out at night, and rarely were they seen. The word zombie actually comes from the Haitian language. Many experts will say that it was in Haiti that the first known zombies walked the earth. These type zombies were known as Voodoo Zombies. You see in Haiti, there are many voodoo witch doctors. These doctors are powerful individuals. They have the ability to put a hex or a curse on a person that can last for hours, days or even a lifetime. Some of the more powerful witch doctors began working on what is known as black magic. A group of them began creating potions and chants that would work to bring back the dead. The problem was that they could not bring back the personality, nor bring back the person to their original physical state. This practice was somewhat frowned upon as once the zombie was resurrected they were on mission to feed off other human beings. 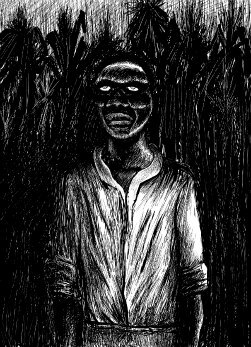 The Voodoo priests would often raise a zombie and strike them onto someone that deserved to be punished. One incident got out of hand and the zombie annihilated an entire village. Voodoo zombies are controlled and will follow the direction of the priest doctor that created them. The practice is very dark, and downright horrifying. The pictures and videos of the actual summation are extremely graphic. Once the zombie has been created it has one goal, and that is to feed, which results in a path of destruction and death. Typically, control of the zombie ends when the priest doctor puts an end to the curse, or if he or she dies. There have been serious reports where the zombie does not complete the kill and ends up turning their victim into a zombie as well. This is extremely dangerous as the priest doctor can only maintain control over the created zombie. For this reason among others is why black magic is so frowned upon in western civilization. There are rumors that there have been cases and incidents in New Orleans, Louisiana where there are a number of voodoo practitioners. Voodoo priests from Haiti have found there way to the city by way of import ships. They have taught the methodology to others which has created quite a stir.